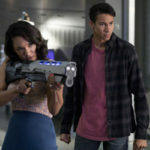 The CW has released the official still images for the second episode of the upcoming season, titled “Mixed Signals”. That’s definitely a new look for Wally! You can see the rest of the stills at Seat42f.com, and the episode will air on October 17th. 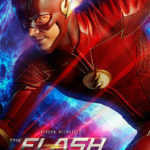 Plus, here’s a look at a new poster for Season Four of The Flash. The costume seems more red here than before, although maybe that’s just the colouring used in the image. What do you think of Wally’s slick new appearance? Yea or nay? This entry was posted in Media and tagged Flash TV Show 2014 on October 5, 2017 by Lia.